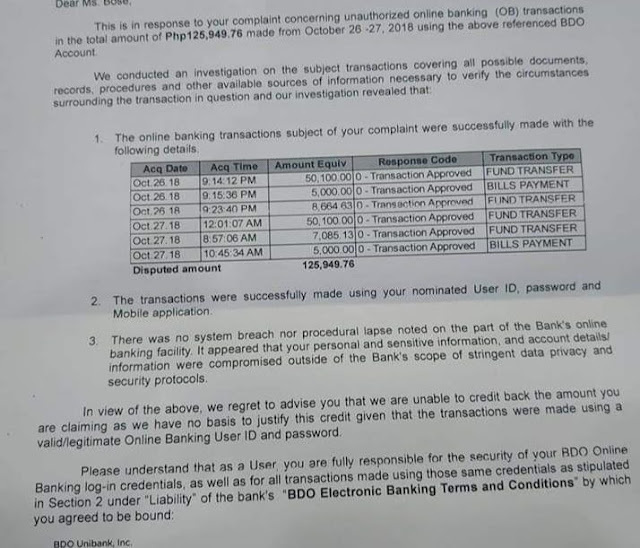 Another victim of bank fraud surfaced and claimed they lost 126K from their BDO account. Their bank account was allegedly hacked and stole their life savings which they earnestly saved for more than a year. What’s more depressing was the fact that BDO told them that their money will not be reimbursed to them since the transactions are valid. BDO seem to be in a bind recently after numerous account holders surfaced and complained about losing money on their BDO accounts. While it is understandable that these incidents may be the works of online hackers, they seem to be targeting BDO, since all the victims are holding BDO accounts. What is really disturbing is that BDO doesn’t seem to care about their account holder’s money. They have been giving conflicting answers on the reason for the breach, and many of the victims were notified that the money they lost will not be reimbursed by the bank. 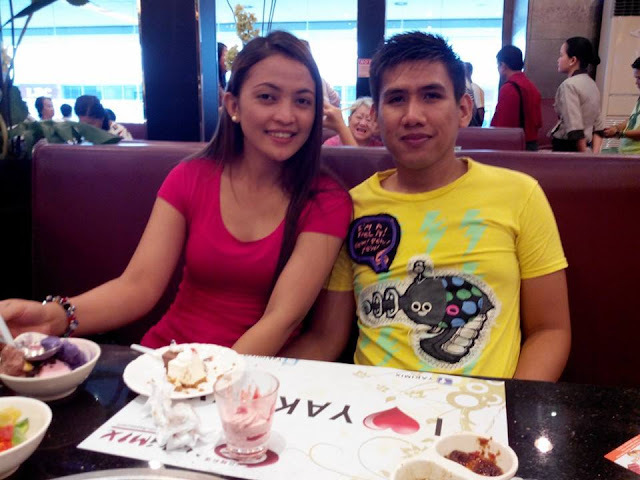 The latest victim to surface was Christian De Ocampo and his wife. They were loyal BDO customers since 2008, and despite warnings from friends, they decide to stick it out with BDO. Unfortunately, the life savings worth 126K that they worked hard for was gone in a matter of 24 hours, courtesy of a hacker, combined with the weak online security of BDO. When they reported the matter to BDO, they were asked to wait while the matter was investigated. They were really optimistic that their money will be returned, because the BDO agent they talked to seem to agree that there was a breach and their account was compromised and their password changed without their knowledge. Unfortunately after over a month of waiting, they received the news that BDO, while acknowledging the fact that their account was compromised, nevertheless said that they will not reimburse the lost amount on their accounts. BDO argues that it is not through the negligence of the bank that their money was lost. As far as the bank is concerned, the transactions made were legitimate, and thus, they don’t have the obligation to return the stolen money to the couple. 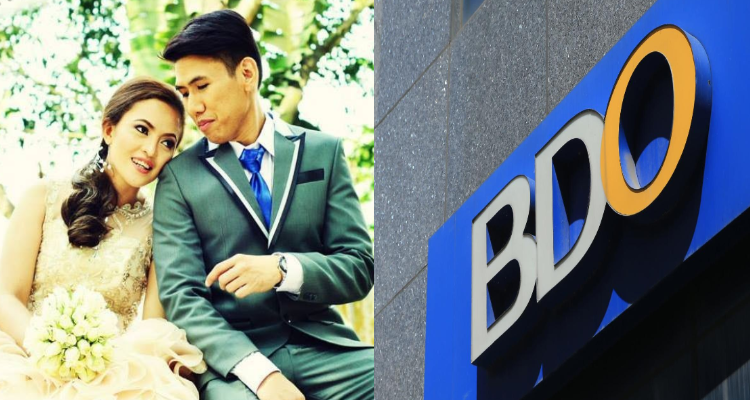 The couple was devastated by the news, and stated that if only BDO has more sound online banking security protocols, then this incident would not have happened. BDO ano na? Nagfile na ko reinvestigation wala pa din kayong action? Bakit yung sa same case sakin naibalik nyo? Sa amin hindi? BDO informed us na HINDI NILA IRREIMBURSE 126K NAMIN KASI INVALID DAW! CLOSE NYO NA AGAD BDO ACCOUNT NIYO! GRABE KAYO BDO! MAS MABILIS PA UMACTION ANG HACKER KAYSA SA BDO! Alam ko biktima din po ang BDO dito. Sorry sa mga nasabi kong negative against BDO, natural na reaction lang naman po siguro na magalit since malaki nabawas sa savings namin kahit sobrang loyal kami sa BDO, hindi ko intention na siraan sila dahil maaari din ito mangyari sa ibang bank. Sa nagassist sa amin sa makati branch BDO maraming salamat po! Sana magawan na ng agarang action. They assured us na mababalik daw pera since hindi daw kami ang gumawa ng transactions. Sa mga may Bdo Unibank account po maging maingat or better avoid transacting online, ok naman si BDO actually since 2008 BDO na kami nagbbank, sa wife ko ang account na nabiktima, magingat din po sa mga fake bdo sites, emails, messages etc.. hindi ako naniwala before, sinabihan na ko ng friend ko na ilipat na ng bank pera namin. Until now nakita ko nakuha ang 126k namin in less than 24hrs. Ganoon kabilis. Eh may limit na 50k per day ang withdrawal. Jusko pinaghirapan mong pera ganon ganon lang mawawala. Yesterday nagcheck ako ng online bdo app hnd ako makalog-in yun pala may nakahack na ng account ko. Ganoon na ba kabilis makuha ang pera natin sa bank? Hindi naba talaga safe magsave ng pera sa bank ngayon? Sobrang disappointed ako, hindi ko alam kung mababaliw or ano na mangyari sakin, nung macheck ko balance namin thru atm nanlata ako sa nakita ko, dahil naubos pera namin sa bank. Maniwala kayo sa akin, hinintay ko pa mangyari sakin to hindi ko man lang namalayan. Tipid ka ng tipid at ipon ka ng ipon para sa pamilya mo tapos ganon lang kabilis mawawala, hindi mo man lang namamalayan nauubos na pera mo, what if hindi ako nagcheck ng balance for sure nalimas na pera namin. BDO app laging may problema sa app, madalas hindi maka log in pero yung hacker easy access. Always may problem ang BDO app ninyo! Nag reklamo ako sa BDO legit fb page, tpos may nagcontact sakin na BDO kaya pla sunod sunod ang send ng OTP yun pala inaaccess na account namin. Alam na alam ng fake BDO agent ang pasikot sikot. Hindi po kami mayaman, taon po ang inabot para maipon namin ang pera na yun. Sa kmuha ng ipon namin hindi ko alam kung paano ka nakakatulog sa gabi, Diyos na bahala sayo. Sa asawa ko pasensya ka na at nabigyan pa kita ng stress na hindi mo naman dapat narranasan. Hindi po biro na mawalan ng 126k ng ganon lang. To BDO please help us na mabalik po pera namin.